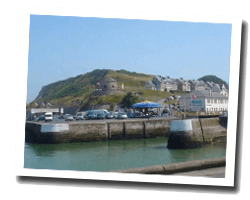 First fishing port in Basse Normandie, Port-en-Bessin is a picturesque town in a beautiful landscape of cliffs. It is pleasant to walk on the docks and walk on the cliffs that offer beautiful views. At the seaside there is a small pebble cove near the port. You can also enjoy the beautiful beaches of Vierville sur Mer. 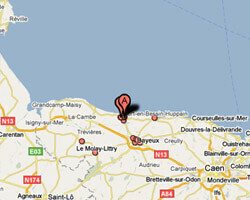 In Port-en-Bessin enjoy a seaview holiday rental.